This is an easy one… you can go anywhere in the U.S. as a Workamper! You can also go to Canada and Mexico if you are so inclined, but you won’t be working in those locations. Maybe start in the east and drive out to the wild wild west. How about starting in the north and then driving all the way down I-95 to Key West for the winter? There’s no right or wrong way to travel and you can define your route as you see fit! The question is where do you want to go! Or maybe where have you never been? Perhaps the easiest way to figure out where you want to go is by starting with your favorite part of the country. Think about places you’ve taken trips to and really wanted to stay for more time. Think about those hot tourist destinations you’ve read about in travel magazines at the grocery store and always dreamed of going. Think about family and friends you wished you could visit and spend more time with on birthdays, holidays and seasons in general! These are the places you should be going as a Workamper! Figure this out and you’ve just started the first step in planning your adventure! You’ll also be one step closer to getting on the road and making money while you travel. Workamping can provide you with a reliable income and decreased expenses for you to be able to make these special trips to places you’ve always dreamed of going. And this is exactly how Workampers should plan their trips… with these special adventures in mind. Since you can only accomplish a limited amount of activities, sightseeing and attraction visits in any vacation or holiday trip, you will now have the ability to stay in locations for extended periods allowing for more in-depth coverage if you wish. More time to explore popular destinations and more time to experience the local scene in a destination you always dreamed about. 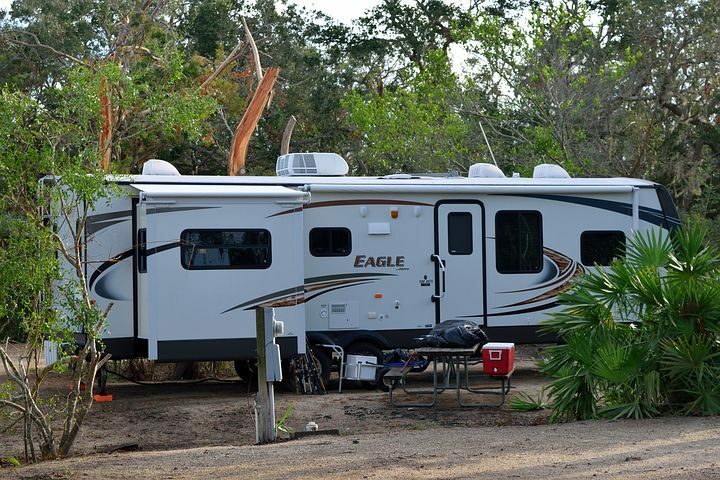 This is how Workamping helps RVers experience the country one job at a time. The world is wide and the adventures are long- this is Workamping and you can go wherever the road leads! The real question is what can’t you do? And the answer is nothing! There is nothing you cannot do as a Workamper. Workampers have the freedom to choose jobs for short-term periods or for longer if they want, and they also choose the types of work they want for that particular arrangement. You can try popular positions like reservations and housekeeping or venture into more specific roles like activity and recreation planning. If you find the current position doesn’t suit your skills or needs and wants for this point in your life, line up something different for future positions and keep going. The most enjoyable Workamping comes into play when you are able to find jobs doing things you will enjoy and are at the very least comfortable with. It also happens when you are in a destination you enjoy and find interesting, as you will want to make plans during your free time to get out and explore locally. I will say that the majority of businesses that currently advertise for Workamper positions are campgrounds and RV parks. But to be honest, I think this is because this is where the niche originated and these employers are more familiar with the term. We have seen a tremendous outreach from mainstream employers like Amazon, trying to find ways to incorporate their own seasonal workforce of RVers and I believe the need for such a reliable and well diverse employment pool is highly sought after. As more employers find ways to incorporate this community into their hiring and recruitment initiatives, we will continue to see the offerings for more and more mainstream or traditional jobs being advertised. Will you find other employers who are hiring RVers? Yes. Will you find employers who are looking for people to stay onsite? Yes. Will you find employers who offer onsite housing options such as cabins or mobile homes? Yes. And while all these job opportunities are essentially Workamping, they just have not yet accepted the term and as a result, miss the mark when trying to recruit. Don’t let that stop or discourage you! Workamping jobs and opportunities are all around us and all you have to do is dig them out! Look for employers advertising keywords in their ads and on the employment pages of their websites. If you’re looking for a position at a ranch, search the page for the word ‘ranch’ and see what comes up. (On most computers this can be done by holding down the ‘Control/Command’ button and the ‘F’ key and then typing the word into the search field that pops up.) Also, it never hurts to think outside the box and reach out to a possible employer to inquire about the opportunity for setting something similar up with their business. You might snag a job for yourself and open their eyes to a whole new world of seasonal employees for future hires! I know thinking outside the box is easier said than done for some people, but for those who are able to accept a less than traditional definition and refuse to put up defining walls or restrictions, they will be able to grasp the full spectrum of Workamping opportunities by keeping the options open. Think about positions at retail stores, fulfillment centers, harvest fields, festivals, amusement parks, water parks, shooting ranges and more! All of these opportunities are open to those who have an adventurous spirit, a great attitude and the freedom to travel! Keep your mind open to all the possibilities that Workamping can open for you, and you’ll do just fine! I need to be as upfront as possible with you about the income you can expect from Workamping jobs. To be frank, it’s not the best and it’s definitely not the highest wages you’ll likely have made in your life. But it is a modest reliable income that can help get you on the road faster than you thought possible. A combination of paid positions, non-paid and volunteer positions as well as those that offer a combination, are what you will typically find from Workamping employers. Many positions are noted for paying minimum wage or something slightly higher. These positions are the most common and include jobs that are easy to acquire and most anyone is capable of completing. They include things like reservations, housekeeping, landscaping, grounds crew, light maintenance, cash register operations, and check-ins. For these positions, you can expect to be paid close to the state minimum wage and should use your negotiation power when interviewing to assure you receive the best possible compensation plan you can. Word to the wise: While I love to negotiate, it just doesn’t work in every situation. I’ll give you a heads up from one Workamper to another… negotiating with larger employers with well-established programs that typically hire hundreds of Workampers is a waste of time. Futile efforts my friends. Futile efforts!